The price of most horses in the world is determined by their speed, breed and other capabilities in horse racing. However, sometimes a horse’s beauty plays a key role in setting its price. 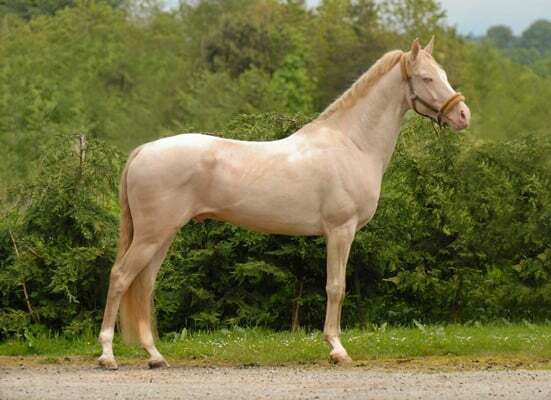 Akhal-Teke is a Turkmen horse which boasts the title of the most beautiful and expensive horse of the world. Akhal-Teke breed is among the most ancient and scarce breeds of graceful horses which are mainly brought up in Turkmenistan. Today, there are only 8,000 Akhal-Teke horses in the world, out of which about 1,000 are held in a training centre in the Turkmen capital of Ashgabat. Each year, Turkmens mark the festival of Turkmen Horse on the last Sunday of April. The celebration was initiated by Turkmenistan’s President Gurbanguly Berdimuhamedow. During the festival, the Turkmens cherish Akhal-Teke, a breed of horse with a long neck, small head and delicate mane and tail which can travel over 1,000 kilometres in less than a week. The horses are 147 to 163 cm in height with a distinctive metallic colour, which shines particularly during the daylight. In addition to their homeland Turkmenistan, Akhal-Teke horses are also brought up in Russia, Germany and many other European states. The horses are usually used for intermingling. They can also serve as sport horses for speed and endurance riding. Akhal-Teke horses are too expensive. Those dealing with the horses say the horses are highly resilient against harsh weather. Originally from Karakum Desert in central Asia, they are accustomed to highly dried weather. That’s why they are highly appropriate for endurance riding. But the horses are not good-tempered at all. For years, humans have made efforts to selectively breed horses and other animals. Animal parentage is an important indicator for trades, sports, breeding, among others. The classical method was based on physical observation of specific traits in animals. Recently, breeders have turned to molecular biology techniques and use of DNA extraction for rapid and accurate parentage verification.